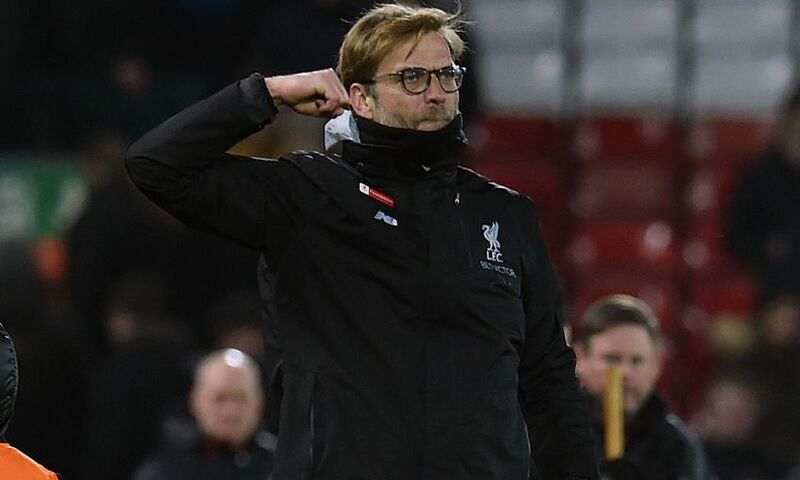 Jürgen Klopp highlighted several satisfying facets of Liverpool's performance after watching his side turn in a powerful display to defeat Tottenham Hotspur 2-0 at Anfield on Saturday evening. 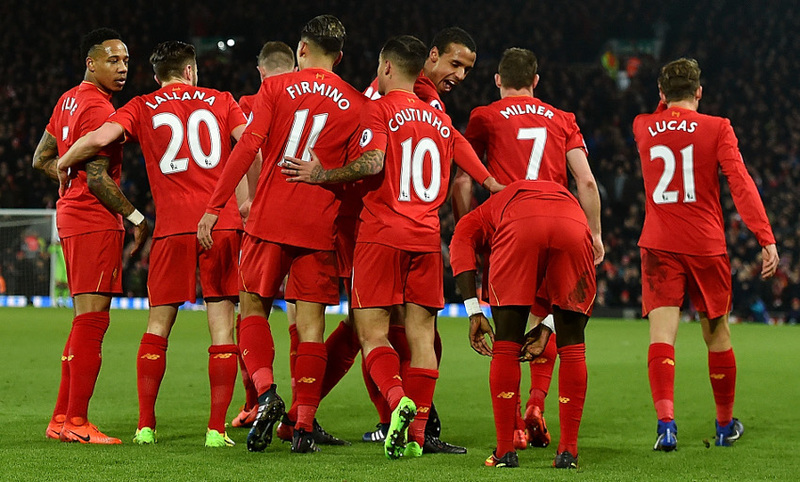 The Reds picked up their first three points of 2017 in the Premier League thanks to an energetic and tenacious showing against their fellow top-four rivals. It was two quick-fire Sadio Mane goals in the first half that did the damage, but Klopp was left to savour his team’s desire, hunger and intensity throughout the contest as they returned to winning ways in convincing fashion. Very – with both. It can be different, you can win a game and you are not happy with the performance. Tonight I’m really happy with the performance, with a few specific things of the performance. First half, the offensive part of the game was really strong, really direct, really clear, really together. The second goal showed [it]. I don’t know how many players tried to finish [and] at the end Sadio could finish. Then in the second half, in a situation like our situation – of course, we knew that we had to show a reaction – you cannot expect the highest confidence. It’s more [that] you have to fight yourself [into] the game. It was very important that today we did both – we fought and we played. Then, the second half was another game and a different game. Tottenham changed formation a little bit already in the first half. [We had] to adapt to this a little, it’s difficult with three offensive players in the centre. But we really dealt well with it and were really concentrated, improved defensively in this game and learned from the game. That was really good and I think it was absolutely well deserved. The atmosphere [was] fantastic, you could really feel that everybody was waiting for a game like this again. So, for tonight everything is good. You need somebody who scores at the end! He did fantastic and could have scored a third one. It’s no problem for me to talk about such a wonderful performance from Sadio tonight but, actually, Roberto Firmino… I’m not sure I’ve seen a lot of better games from a striker without scoring. He had sprints after 92 minutes, over 60 or 70 yards – that’s unbelievable. That’s very important. All the midfielders, everybody. Joel Matip improved in the game, you could see first half [he] struggled a little bit. [It was] important then that he stayed in the game, a little bit more concentration, getting more used to the situation. It was a really good performance in the second half. I saw a lot of good individual performances tonight, but that’s of course important, otherwise you cannot win against a team like Tottenham. I think it was deserved and that’s the only thing I’m really interested [in]. Because I think we are a really good, organised side. That’s one thing but not the only thing. Maybe only the older people in the room can remember when we played really well in other games in the first part of the season. I know when we struggle and I know the reasons – it’s about rhythm, it’s about shape. If it’s not about attitude, which I’m sure about, then it’s rhythm, shape and a little bit of luck. So, being injured in the wrong moment is really difficult to deal with. We had a few of these things. Of course we missed Sadio in January – each team in the world would have missed him. So that’s all part of the truth, but it’s not that we played 20 games really bad. We played a few. Now we are back in this race and we have to use this situation. Even [though] we didn’t perform fantastically in January, we are still in a really good position in the league. I don’t want to find excuses for the not-so-good games or whatever. I know that it will come up before the Leicester game and everybody will ask, ‘What will you do now against a counter-attacking team… deep defending?’ [and] all that stuff. It’s not that we have no idea about it, but we need the boys in the best shape and then you need to make the right decisions on the pitch. It’s not always about willing – you cannot want with all you have, sometimes you have to wait a little bit and then you have to be still in the interesting positions. For this moment, we are there and we now have 14/15 days [until the next game]. There will be two or three days’ rest for the boys and then it is pre-season [training] for the rest of the season. We have to use this. Whatever I could say tonight, in a very good mood obviously, would not help. We have to use the team and show then again that we are there. I thought tonight it was really nice to watch how the whole of LFC reacted – not only the team, but the crowd. They could have been much more critical – I am not long enough here to understand how the crowd reacts here, but the reaction tonight… they were waiting a little bit for us, ‘Come on, show something’. Then we showed something and it was fantastic. No. Really it’s not a shame – I love football but I have no problems with a few days where we can now really train. The boys will have a little bit of a rest and then we will start a pre-season, that’s how we understand it. We want to use the time and hopefully everybody can see that, it would make sense. But I would not be happy if tomorrow we could play again, so it’s all OK like it is. I thought it made sense that we show it from the first second. Of course, we spoke about it. We were, from the first second, really in the game. From the first pass, we were there. Each pass they played was an invitation for us to chase it. That was really good and it was a key for the game. When you saw the first goal, a wonderful challenge from Gini Wijnaldum, a one-on-one situation, he passed the ball immediately. Two things were different in this situation; I am not sure that we would have won the challenge in another game and I am not sure that somebody would have run in behind. Not even Sadio, he didn’t do it at Hull, for example. It is really difficult to wait for things in football while you have to play Premier League football. It’s not only that we waited, we knew about a few problems. Hopefully we can sort them now for the rest of the season. It will be very important and, as I said, we have a little pre-season, then we play Leicester and then we will play again and try to do our best again. Tonight was really under pressure and a really good sign. Nice. What would you think about me if I would say now that I think we can [catch] them? Really ambitious or crazy? Maybe you can imagine that I’m not too interested in this in the moment because the only possibility to win something is to win football games and we started 2017 – if you want – tonight and we should not go nuts immediately and talk about all the rest. Let’s take it step by step. Chelsea don’t look too much like they could struggle over weeks but they should [so] that somebody can get them. If they do then [there] will be somebody. I’m not sure if we [will be] there but we’ll try everything to get as many points as we can get from the season and then we count and see what it was worth. How can a club smile when you lose games? It should not. The only thing that’s not allowed is to doubt everything. That’s normal in this world, I know, but everything changes in days. ‘Fantastic team, fantastic players, fantastic manager’ and then... That’s how it is. It’s absolutely OK, it’s no problem with criticism, it’s only about the long-term thing and we understand it as a long-term project. I’m happy that everybody was ready for a smile tonight and we gave them the reason [to smile] – that was good.